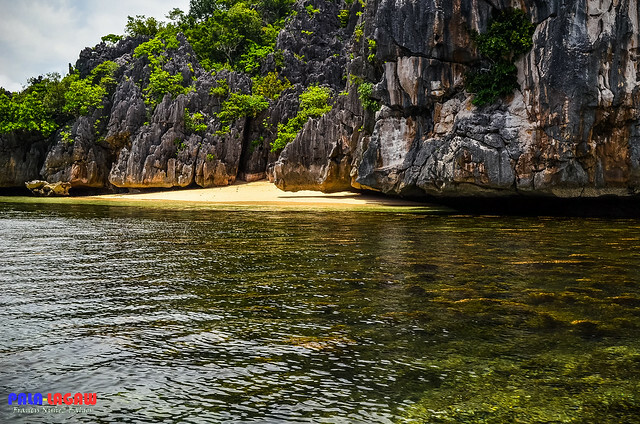 Cagbalinad is a small secluded island facing the expensive resort laden Gota Island of Caramoan. This is our second stop for first day island hopping adventure, already my skin is starting to burn but when I'm in a tropical paradise such as this, I can't miss the chance. Our guide Kuya Ramil left us for a good 30 minutes as he was went back to Paniman to get his handmade goggles. We are to have some snorkeling adventure on some deeper waters just few meters away from Lahus Island. He must have realized that I'm very comfortable in the water, I even brought my own snorkeling gear. My next post will be about how he assisted me like a father to a son while snorkeling. 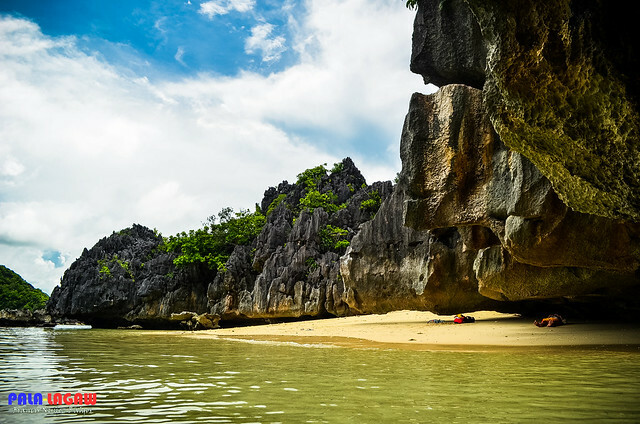 Cagbalinad island is practically a limestone island littered with few enclose small white sand beaches. The surrounding waters are shallow with lots of sea grasses. I was actually scared to venture out beyond the shallow perimeters as I can't tell what sort of creatures maybe lurking and hiding behind the sea grasses, more so that they are thorny, it feels like a reptile touching your skin. Talk about left alone, kuya Ramil literally left with his boat which is our only transport back to civilization, though his first mate stayed with us, he just spent his time sleeping under the overhanging limestone rocks, so we were left to our own devices. If this is how it feels to be in a survivor reality show, when you are a cast away on an island but all the while you understand that someone is there watching over you. I spent much of my time basking in the beach on 2 PM sunlight. It was hot, but at the same time relaxing. The white sand feels good and you can hear birds when you listen carefully. It was a nice feeling, one I will certainly long to experience again. OMG Francis! 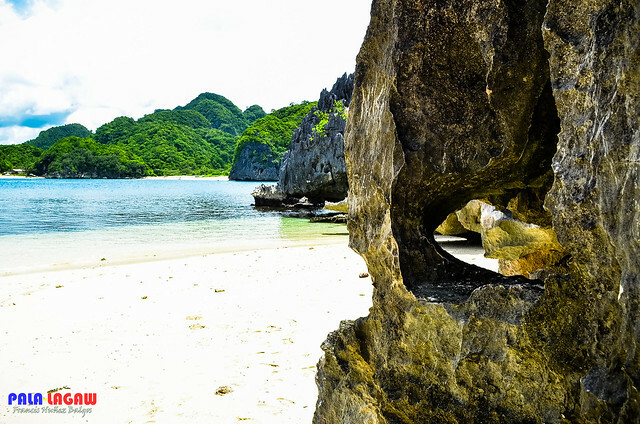 I love the photos and darn, Caramoan is on my prime target to visit soon. Ang ganda pala ng rock formations nea. I love it there and wanna come visit. @Dr Wends - Most of islands in Caramoan Peninsula looks very similar to that of El Nido Palawan, but you'll know that difference in the diversity of fish and corals. @pinoydaysleeper - sayang!! Effort pa naman bumiyahe sa Caramoan.. hehehe!! I don't think that much has change.. the place is very resistant to it, they people know that they need to preserve this paradise. Hot and gorgeous views and landscapes! I have gone in Caramoan before. Water is so pristine and there are so many islands you can hop. I believe several Survivor franchises were done there. Ang ganda ng mga stone formation. 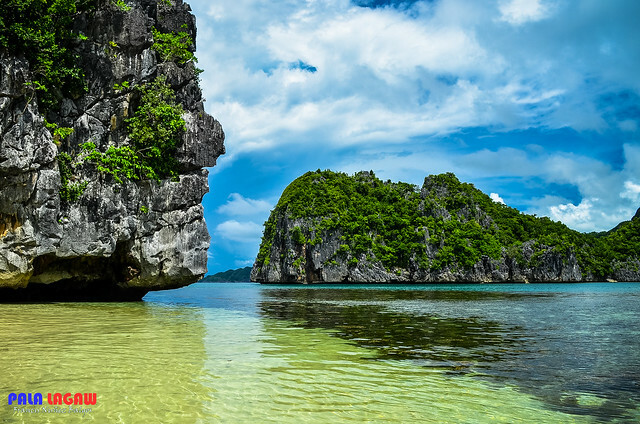 I really want to visit Caramoan. Very vivid description of the location. Wow! 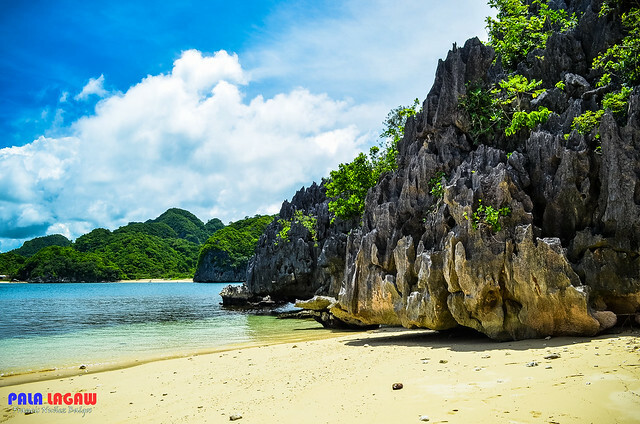 I want to go there in Caramoan someday and live like a castaway in Survivor! 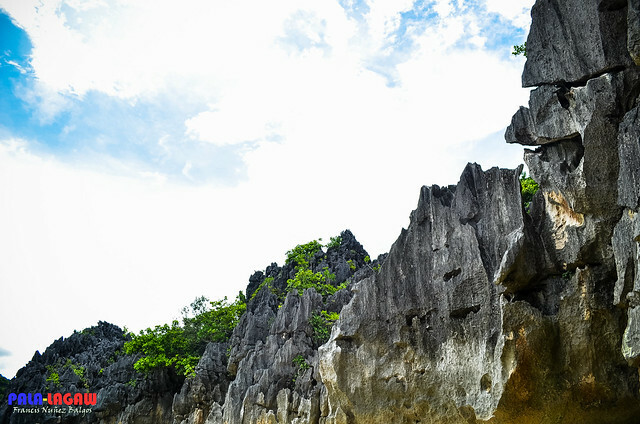 Ganda talaga ng Caramoan, linaw ng tubig plus ung stone formation naturally artistic. Ganda bro! i wouldn't be surprised to see your photos in the newspapers, billboards, magazines! you seem to always capture your subject's essence very well! great job! Splendid! 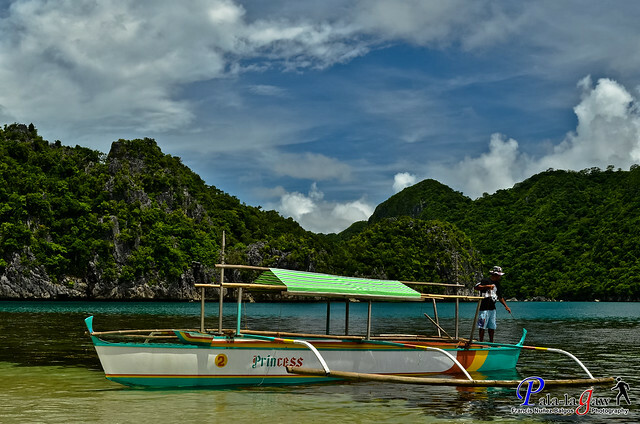 The photos are beautiful.. Caramoan is such a paradise! Magnificent view of the beach!